The “Internet of Things” is an expression for how the Internet is helping people connect devices, accounts, services, and even household appliances in new and exciting ways. Zapier has been leading that connectedness for several years now. This article is a short list of ways you can connect your Give Forms to other services through our Give Zapier Add-on. Instead of thinking of donations as an end, think of them rather as a means to building a relationship with those who support you and share your vision. Getting a donation is great, but what you do with that donor afterward can be just as important to your organization. We’ve discussed previously how you can be intentional about thanking your donors after they donate and how you can make your donation receipts dramatic, with more impact. Now, let’s take it to the next step. Let’s make sure you are following up with your donors in fun and purposeful ways through Zapier. Think of Zapier like the “Universal Translator” in Star Trek or the Babelfish in Hitchhikers Guide to the Galaxy. They were these ever-present things that allowed all creatures of every galaxy to instantly understand one another no matter what language they are speaking. Instead of language connecting people, Zapier is code connecting apps. You have Give and all its transactions, then you also have Google Spreadsheets or Calendar, or a CRM, or your Instagram account. Wouldn’t you love to automate having those apps communicate with each other in a way that was meaningful and made you more productive? That’s what Zapier can help you do. Here’s how it works. 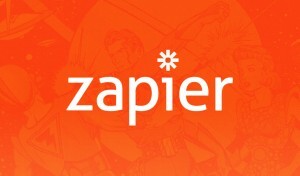 Zapier allows you to creates “Zaps” between two or more “Apps.” Every zap has to have a Trigger and at least one Action. Every different App has different Triggers and Actions available. But not all Apps have actions at all, just Triggers. We have a Give App that you’ll configure for your Zapier account. Currently it only has Triggers. But that’s exactly what we need for these examples. We want a new donation to “trigger” a new action in another App in one way or another. Zapier currently has over 500+ Apps available. If it’s a popular online service, it most likely has a Zapier App in one way or another. But because we want to trigger an action from a new donation, we are looking only for Apps that have Actions. Apps with only Triggers and no Actions won’t do us much good in this case. So without further ado, here’s some Zap ideas to get you thinking about how you can follow-up with your donors after they donate. Maybe you are a health awareness charity and need to get urgent messages out to your donors; or you are a more closely connected organization like a faith-based community. Either way, getting new SMS subscribers would be excellent. Using Form Field Manager, add a text field to ask your donors to subscribe to SMS notifications by providing their cell number. You’re going to need to choose which OctoPush Contact List to add them to. So here, optionally, you could add a Radio list of List names that your donor can choose to be added to. Just be 100% certain that you name the options exactly the same as the OctoPush list name. Next create your Zap by having Give be the Trigger, and choose “New Donor” as the Trigger. Then connect your account. Choose Octopush as your Action and connect your account. Choose “Add Contact” as the Action. Alternatively, you can add an additional Action to send a confirmation SMS to the donor immediately. That’s it! 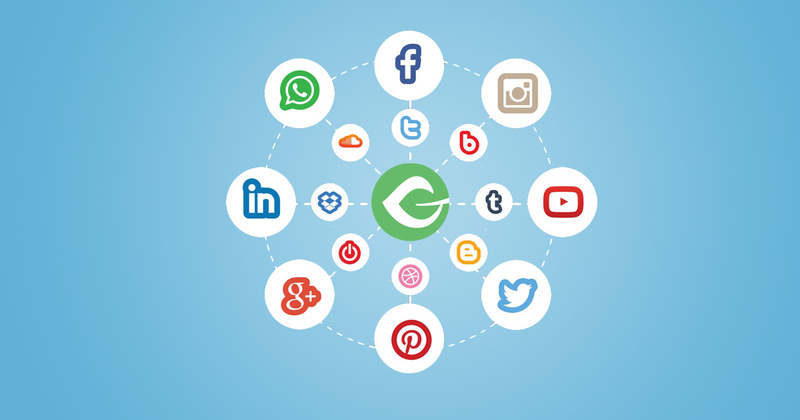 Now you can grow your SMS list with every new donor you get through Give. How would you feel if a short time after donating to an organization you got a personalized email or phone call thanking your for your generosity? This Zap will enable you to do that for your donors. This Zap allows you to automatically create a Google Calendar reminder in your account every time you get a new donor. Configure your Give App and choose “New Donor” as the Trigger. Alternatively, if you’d like to call your donor, add a text field with Form Field Manager to collect their Phone number. Later you’ll be able to add it directly into your Calendar reminder. Add the “Delay by Zapier” app. Configure it to delay the next Action by whatever timeframe you’d like. Add the “Google Calendar” App and choose “Add Detailed Event” as the Action. Here you’ll be able to map your Give Form fields to the different settings. The Start Date you’ll want to use the Delay “Release At” as the Start Date. That’s it! Now you’ll be able to follow-up with your donors easily and conveniently. Are you a thought leader? Does your organization have research and resources that you share to help educate your city and/or donor base? This Zap will enable you to take Donations for Registration for Online Webinars via AnyMeeting. Create a Give Form and give it a title that clearly indicates that it’s for registering for the webinar. Configure the AnyMeeting App to have the name and email populated from your Give form. And you’re done! You can start getting donations for your online webinars! Are your donors proud to give to your organization? Maybe they want to let people know about their contributions. Maybe we can make this a little fun as well! Create a Give form with an upload field. Alternatively, you could also ask your donors for their Twitter handle via a text field. You can include that in your tweet so they get notified when your tweet goes out. Connect the Give Zapier App and choose “New Donation” as the Trigger. Connect the Twitter Zapier App with your organization’s Twitter account. Choose “Send Image Tweet” as the Action. Maps the Give form fields to the tweet and craft a Twitter message with your campaign hashtag. That’s it! Now, whenever a donor uploads an image and/or provides their Twitter handle your Twitter account will send out an automated tweet with the image, tagging them, with your campaign hashtag and message included. One of the most common uses for Zapier though is connecting Apps with popular CRMs like Salesforce or InfuisionSoft. This is an obvious choice as well for Give. Another popular Zap would be to connect Give with your Accounting software like QuickBooks, Freshbooks, Harvest or many other bookkeeping and accounting Apps. There’s really so many ways to follow-up with your donors with Zapier, this is just the tip of the iceberg. We’d love to hear of your ideas or questions on using Zapier in the comments below. Start following up with your Donors with these Zap automations by getting the Zapier Add-on today. You can get it either individually, or Bundled with Form Field Manager and even Recurring Donations. 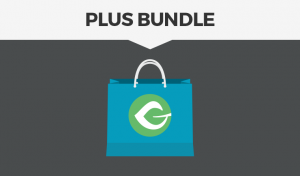 Get the Give Zapier Add-on for just $45 and start automating your donor follow-ups today.